SK Hynix is the world’s second largest memory fab behind Samsung, and number four in the world for semiconductor sales behind TSMC, Intel, and Samsung – who is, again, in the very top spot. The memory manufacturer has already been enjoying a pretty stellar year, with huge worldwide memory demand that has seen system memory prices soar. But since the deal with Nvidia has entered the public domain, SK Hynix’s stocks have gone supersonic. Won’t settle for anything less than 4K? Don’t worry, the best Nvidia graphics cards are only a click away. Stocks are currently valued at 95,300 KRW apiece, toppling the previous high of the year of 90,700 KRW back in March. As a result of the Nvidia deal, this is the highest the semiconductor manufacturer’s stocks have been in 17 years. So what chips are SK Hynix providing Nvidia? 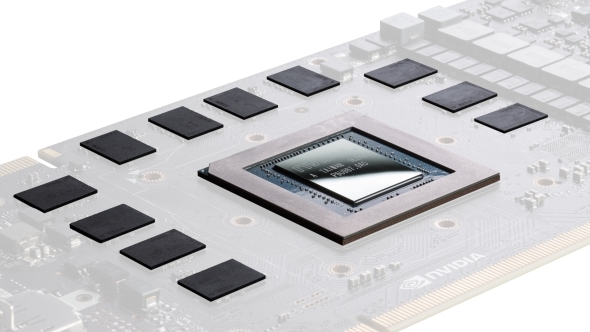 From what we know of Nvidia’s next-generation of graphics cards (which is still very little, despite the recent Nvidia GTX 1180 rumours), we can only assume that SK Hynix will be providing GDDR6 for Nvidia’s GTX 1180 and further next-generation graphics cards. SK Hynix confirmed that its speedy GDDR6 memory modules were available for purchase earlier in the year, and this memory standard has been the most likely candidate to power Nvidia’s next gaming cards for some time. Nvidia’s current Volta generation Titan V utilises 12GB of HBM2 memory (which SK Hynix also make and assumedly supply to Nvidia in some capacity), although this on-package memory solution has been largely deemed too expensive and unnecessary for gaming cards – unfortunately, AMD’s RX Vega graphics cards had to find this out first hand. 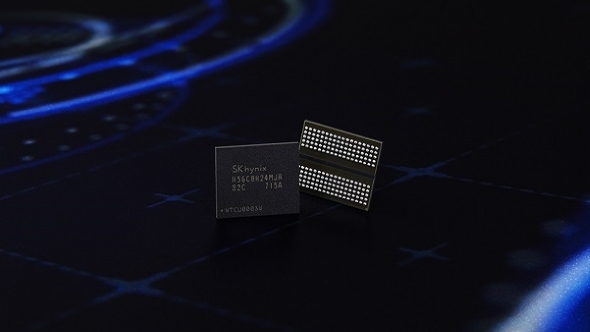 It’s all kicking off for SK Hynix and the company’s financials, and is likely the icing on the cake of what has already been an extremely successful year for the memory fab. Hopefully this newfound memory deal indicates signs of life within the Nvidia supply chain toward large-scale production of new product, and a good omen for gamers patiently waiting it out for new graphics cards from the green team.